State Farm Companies Foundation has awarded the University of Illinois Springfield Computer Science Department a $50,000 grant. 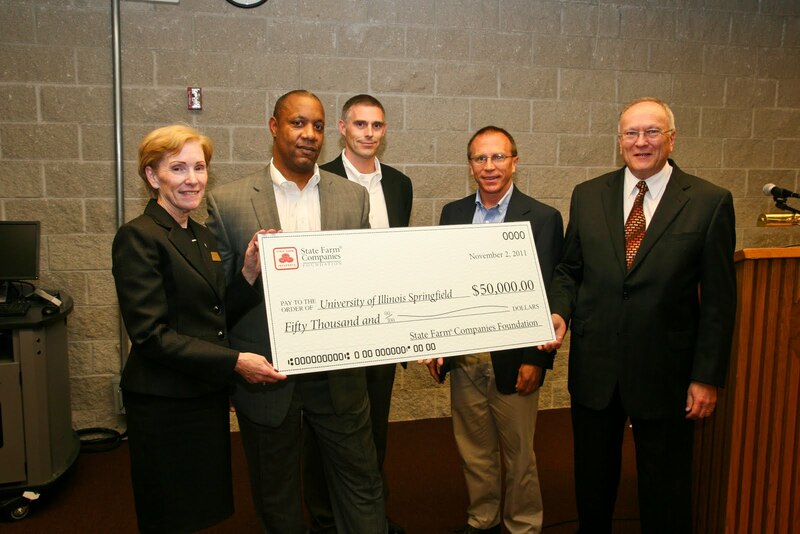 The money will be used to enhance the State Farm Virtual Computing Teaching and Learning Laboratory at UIS. “The existing virtual sever system does not have sufficient storage, memory or remote access to support the increased demand placed on it by the increase in majors taking courses that use the system,” said Ted Mims, chair of the Computer Science Department. The funding provided by State Farm will allow the department to add a new front-end remote access system, increase the server memory of each processor, and add a new storage system that is supported by the newer versions of virtual software. “These improvements provide greater efficiency and effectiveness for students when the Department moves core and elective courses to a virtual environment. It will provide enhanced remote access, expanded and streamlined online learning,” said Mims. University of Illinois Vice President and UIS Chancellor Susan J. Koch accepted the check from State Farm during a reception in the Public Affairs Center on Nov. 2, 2011. 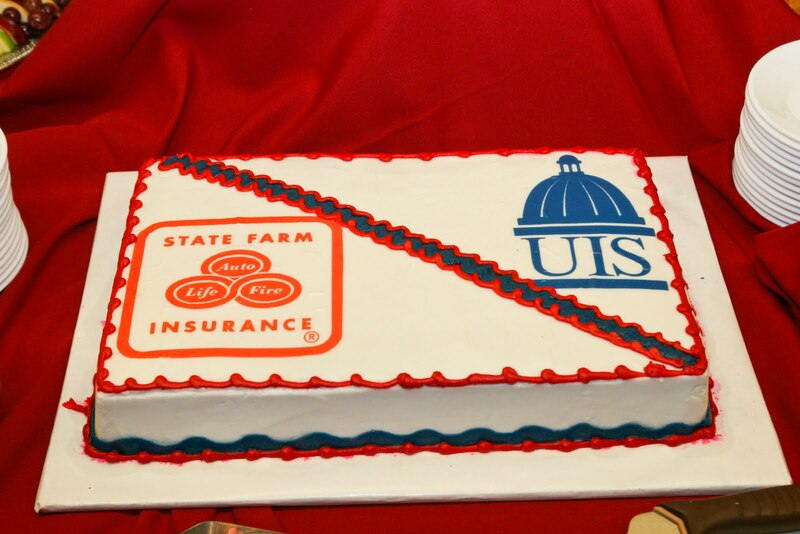 It’s estimated that there are currently over 140 UIS graduates working for State Farm at its corporate headquarters in Bloomington-Normal, Ill. The new system will be used by the UIS Center for Systems Security and Information Assurance to host programming, cyber defense and digital forensics competitions. The UIS Computer Science Department is a partner in the National Center for Systems Security and Information Assurance funded by a National Science Foundation (NSF) Advanced Technology Education (ATE) Grant. Funding from the NSF/ATE grant will be used to fund events at UIS that utilize the equipment funded by the State Farm Grant. This is awesome. I re-blogged it at http://csclub.uis.edu/2011/11/state-farm-awards-uis-computer-science-department-50000-grant/ so that all the club members/followers know. Thanks! Please spread the word!